Purism itself could be in turn labeled fuddy-duddy timidity considering how much adaptability translation requires in practice. 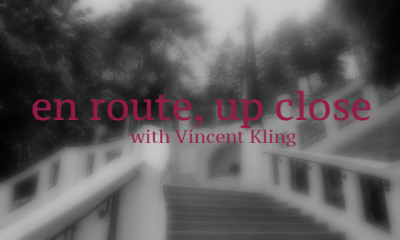 Here is another installment of our long running Translator’s Diary by Vincent Kling, winner of the 2013 Schlegel-Tieck Prize. Today’s column is a beautiful meditation on how words hold memories, nostalgia, and traditions hidden within them. Kling ponders the difficulty of translating the cultural weight of the untranslatable. How many international airports have a distinct look or layout of their own? What upscale shopping street lacks a Gucci or a Prada store, a Cartier or Bulgari, no matter the city? It’s easy—and largely accurate—to deplore increasing sameness everywhere, including the false belief that everybody speaks English. Yet consumerism still hasn’t quite flattened everything. Take food, for example: American childhood is unthinkable without peanut butter, as much an emotional as a physical nourishment; most Europeans find it seriously disgusting. My Australian friends are crazy for Vegemite; elsewhere, the taste for it is baffling. Or sports: try even explaining baseball to Europeans, let alone inducing them to watch a game. Have any of Goodreads’ list of the 103 Best Baseball Novels of All Time been successful in translation? An American colleague taught a course in the baseball novel as a guest professor in Germany at the students’ request; the students dutifully acquired some technical knowledge of the rules, he told me, but they never began to grasp the emotional weight, the quality of ritual, the glory and the heartbreak, the sense of pastoral innocence. Naturally, these cultural differences plague translators, who are sometimes confronted with the lack of a word for a thing because the thing itself doesn’t exist in their target language, at least not in any recognized form. The Wikipedia glossary of baseball terms would stagger the inventiveness of even a Georges Perec or a Harry Rowohlt. Never mind explaining the suicide squeeze­­—even finding a name for it would defeat most efforts. Holiday customs might seem to present a lower barrier from country to country where Christmas is celebrated, but one of my colleagues from our workshop at Ledig House last June (see my earlier post) has found out differently. Yes, we all share sleigh bells and Christmas trees and mangers and a festive meal and some version of Saint Nicholas or Santa Claus bringing presents. In fact, Santa Claus is rapidly catching up with the Christ Child in the German-speaking world as the bringer of gifts. The process may have started in 1947, when, as a small sign of Germany’s alleged vulgarization through Americanization, Erich Kästner translated Clement Clark Moore’s “A Visit from Saint Nicholas” as “Als der Nikolaus kam,” complete with reindeer and all of Santa’s trappings, making no adaptation to German traditions. Even with increasing overlap, however, Regina Rawlinson told our group at Ledig House about notable cultural differences when translating Jeanette Winterson’s delightful collection titled Christmas Days: 12 Stories and 12 Feasts for 12 Days. Think of the great overlap between English and American Christmas traditions: we Americans have holly, but not ivy, the latter familiar only from knowing the carol. Our fruitcake is a cousin, at least, of plum pudding. Many of our Christmas carols that are not German (“Silent Night”) are English. Yet how many of us Americans associate Christmas with robins, ubiquitous in English celebrations? We may have read about Christmas crackers, but we don’t have them here. Boxing Day is a concept, but not a practice in the United States. Now, compound the unfamiliarity by transposing robins and crackers and holly and ivy and many other Christmas items and objects to the Continent, and you will be met with blankness. As if it weren’t enough of a challenge to find equivalents or explanations without resorting to footnotes—often the bane of translators—the stories in Winterson’s collection are interspersed with recipes for delicious British Christmas specialties mostly unknown on the Continent. Mince pies? You can find them in gourmet grocery stores, but you’d have to know what they are in the first place. Custard? No real equivalent. Sherry trifle? Practically no correspondence; tiramisu isn’t the same thing. Of course it’s a fairly mechanical operation to translate a recipe by changing ounces to grams and so on—Regina’s translation will surely yield just as yummy a mince pie—but how to explain all the associations, the nostalgia, the memories, the comfort of just-like-grandma-used-to-make? And from the other end, how could someone not from Central Europe experience the impact of tasting a Vanillekipferl, those crumbly crescent-shaped cookies with vanilla powdered sugar? Or Kletzenbrot, the dark country sweet bread with dried fruits and nuts is as powerful a stimulant as Proust’s madeleine. Recipes for all these are easy to download, but the cultural weight, the ethos and the pathos, the tropes of memory aren’t in the recipes. Good luck, Regina. Similarly, single words often require glosses or paraphrases in Die Strudlhofstiege. More than one scene takes place in a Heuriger. If you go with your children, you can order them a Kracherl as a special treat. No Austrian or South German would ever have to be told what a Heuriger is, and to say it’s a semi-rustic inn on the outskirts of the city that serves wine grown from grapes on the property doesn’t begin to capture the flood of happy associations, images of cool air and arbors and relaxation. A Kracherl is a very sweet lemon- or raspberry-flavored carbonated soft drink, but until you’ve seen a kid’s face when one is served, you can’t know what it means to a delighted youngster. Several characters in the novel eat at their favorite Beisel, a kind of unpretentious, no-frills restaurant serving good, plain food that’s also a tavern but might be likened to an American diner (my Austrian friends find this comparison blasphemous). Familiar quotations from classic literature also require some context in English they never need in the original. One of Schiller’s most famous ballads, “Der Handschuh” (“The Glove”) tells the story of a knight treated so contemptuously by a lady that he rejects her sneering thanks for a deed of gallantry. Every German-speaking school child in Doderer’s time would have known the relevant line (“Den Dank, Dame, begehr’ ich nicht”) from memory with no context needed. The narrator of Strudlhofstiege puts that line to ironic use, aware that it could function as a quick, free-standing “zinger,” whereas I needed to set up a whole framework: “He could have quoted in reply that line from a ballad by Schiller, ‘Such thanks, fair one, I do not crave’ (‘Den Dank, Dame, begehr’ ich nicht’), but with the accent on the word ‘such,’ meaning ‘Don’t do me any favors.’” I’m not about to suggest that I “improved” the original, which would be preposterous, but I hope to have given enough surrounding information to make the passage intelligible. I sigh in agreement with Klaus Reichert, however, who says he’s always astonished at how much gets lost—odd that a loss results in this case from my adding. The most formidable cultural challenges of all come from Doderer’s witty practice of using an idiom in its most literal meaning, extending it through whole paragraphs of character analysis. Picture taking English idioms about dogs—dog in the manger, raining cats and dogs, the Southernisms like “that dog won’t hunt” or “I be dog if . . . ”—and holding on to their literal meanings so that they have to be rendered as is in German, even if the language can’t accommodate them. Next month, how “wo der Hund begraben ist” and “Sie kommen mir spanisch vor” kept me awake at night. We return with another installment of Translator’s Diary where Vincent Kling, winner of the 2013 Schlegel-Tieck Prize, takes us through the nuances of translation. Today he discusses the intricacies of vocabulary and pronunciation and how history and geography combine to fashion complex, unique identities. Hoagie? Hero? Sub? Some weeks ago I was staying in the Rhineland, near the Dutch border, where I developed a pesky summer cold. When I told a close friend who lives in the area that I was “verkühlt,” he grinned and said my Austrian side was showing, since a German would say “erkältet.” This reply reminded me of those popular posts on social media that ask if you drink “soda” or “pop,” if your sandwich is a “hoagie” or a “sub” or a “hero,” if you call those luminous insects “lightning bugs” or “fireflies,” if you drive around a “rotary,” a “roundabout,” or a “traffic circle.” Then there are the arguments about pronunciation; do you wade in the “crick” (like brick) or the “creek” (like meek)? Vocabulary and pronunciation, and even spelling, mark larger histories of settlement and local adjustment, which might explain why amature language lovers also enjoy reading about Samuel Johnson’s vs. Noah Webster’s lexicography, or about the perceived level of crudity or finesse in this or that regional expression (quick disdain for Southern “y’all” or “might could”). Translators from German likewise need to be aware of geographical and cultural forces; I confine myself here to differences between standard German in Germany (Bundesdeutsch) and Austrian German. (Swiss German is fascinating but outside our framework.) I know from experience through making my own mistakes (some of them in print!) what bloopers can arise from ignorance or inattentiveness. Of course, one approach to this topic would be to list variances in grammar and syntax, vocabulary (especially food), idioms, and the like; I’d rather recommend Robert Sedlaczek’s fine book Das österreichische Deutsch to readers of German and move on to a more comprehensive insight, one that traces a truly characterizing difference. Understanding narrative structures in their historical context has a direct impact on a translator’s word choice, tone, and register of diction. Abstraction Meets Craft: My dateline this month is Ghent, New York, where I am writing from the idyllic Ledig House at the Omi International Arts Center. Ten translators, five from English to German and five from German to English, are presenting work in progress during a week of close reading and feedback. I’m grateful for the practical comments about the part of Strudlhofstiege I presented, especially suggestions for bringing out more fully the playfully interwoven levels of the narrator’s voice. That’s crucial, because he’s not only the main event, he’s the only event, the sole governing sensibility, digressing and freely associating as eccentrically as the narrator of Tristram Shandy. He loves the drollery and irony of shifting registers, creating variety by deft incongruities in elevating or lowering the diction. An example: two characters challenge a third character’s plan, because they know from experience it will miscarry. The passage I brought to the workshop said that they were “stubbornly resistant,” but the native German speakers found my rendering one level too high. I had mistakenly retained the narrator’s formality from the beginning of the sentence to the end, even after he had adroitly switched gears. We entertained “they nixed the plan” or “they put the kibosh on the plan”—both now a level too low, we agreed—until I settled on “they balked” or “they dug in their heels.” General endorsement; on to the next refinement. Meanwhile, my efforts in earlier posts to trace the ancestry of that narrating voice as an aid to grasping its full scope and range—thank you, readers, for not logging off—made me afraid I was straying too far from the practicality of craft. However, the group showed me how a seemingly abstract concern, which I feared might be taking me away from the text, was in fact leading me back to it, since understanding narrative structures in their historical context has a direct impact on a translator’s word choice, tone, and register of diction. “Learned Wit,” Scholastic Universality, Baroque Elaboration: One participant ratified my search by encouraging me to read Albert Vigoleis Thelen’s German novel The Island of Second Sight (published 1953, translated into English by Donald O. White in 2010). It’s a wonderful discovery in itself and eye-opening in its kinship with Doderer. Thelen subtitles his book a volume of “applied recollections,” a term applicable in moderation to Strudlhofstiege as well, since the narrator is likewise the sole presence and presents a mammoth set of memories that lie decades in the past. Vigoleis, Thelen’s alter ego, similarly glories in asides, digressions, parentheses, addresses to the reader, convoluted backtracking and remote tangents, filigree, pyrotechnics, set-piece lyric rhapsodies, and meta fiction, proclaiming his joy at leading us on wild goose chases and detours around the mulberry bush. These narrators even digress to explain why they’re digressing! Same associative approach, then, but Thelen hews closer to linearity than his Doderer “cousin,” who reconfigures the narrative line into curlicues and zigzags of the kind Sterne draws in Tristram Shandy. Thelen develops from the base line of a story in straight chronological order; Doderer skillfully blends and blurs two time periods, 1908–1910 and 1923–1925. In both cases, the distance in time between the incidents themselves and their accounts creates reflective irony as the basic mode of observation. 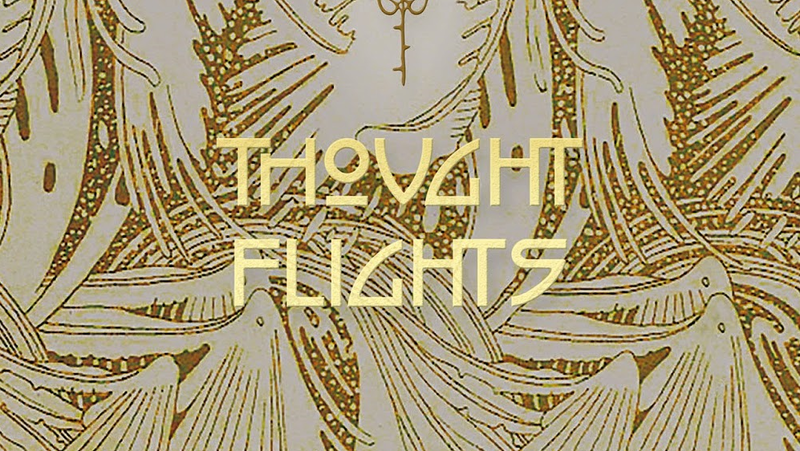 At first appearance, the newly translated collection of short pieces by Robert Musil, titled Thought Flights by translator Genese Grill (Contra Mundum Press), seems at odds with the writer’s reputation. After all, he is most famous for the massive, unfinished Man Without Qualities. Why would he take time away from that project he was so dedicated to so he could write pieces of fiction only a couple pages long, essays about whether the crawl stroke is an art or a science, and satirical fragments like “War Diary of a Flea”? And considering all that Musil articulated about society, gender, philosophy, art, etc. in Man Without Qualities, is there reason to read this instead of, or after, that? The quickest way to answer both questions is hinted at by Grill in her introduction. The first: for Musil to maintain his sanity by taking breaks. The second: if you admire both the intellect and aesthetics of Musil and the serious play that Walser brought to his feuilleton, this is a chance to see what comes about when those two styles are combined. "In the morning, the walls blow their noses, hanging their bleary eyed bedding out of the windows." In the science fiction of movies and television, the future looks more or less uniform. Digital technology is (somehow) even more omnipresent than it is today. A continuous mosaic of audio and video spills across every available surface. A glass skyline stretches toward the horizon with sleek automobiles gliding past the frame. If human culture has existed, say, for more than a few decades, the evidence of that is not visible. This kind of scenario is a reflection of contemporary reality, of course. Science fiction has traditionally dressed up the future in contemporary styles. And this presentism seems justified today. In our swiftly urbanizing world, the built environment often appears as if it had emerged overnight, without precedent. The megalopolises of Asia and Latin America, with their endless high-rise apartment blocks and elevated thoroughfares, seem to presage something universal for humankind, at least while we can keep industrial civilization going. But there is another kind of future city, one defined by the accretion of time, where reality is defined by the weight of history rather than its absence. The late Austrian polymath Gert Jonke made a career evoking such places. 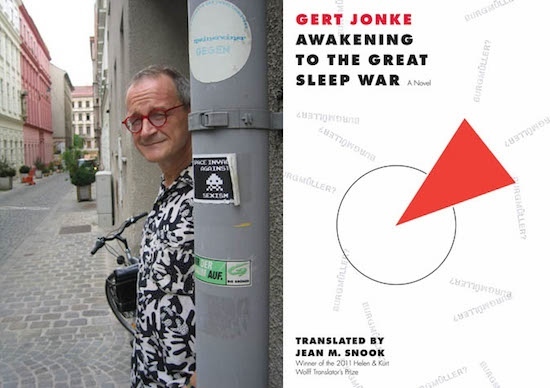 His complex, often bizarre novels explore how the past continually impinges on the present, particularly in Awakening to the Great Sleep War, first published in 1982 and brought to English last year by Dalkey Archive Press.